Summer is here and I just picked up the big bundle of medications from the school nurse. I look at these medications and then look at my son, wondering how on earth is he going to learn to do this on his own. It’s been an on going lesson trying to teach my child about how to use his medications and when to use them. Thankfully, the new CVS ScriptPath program is helping us this summer while we use it as a learning tool. Every morning, my child has to take an allergy pill and 2 puffs of his preventive inhaler. Then, in the evening, he has to take a different allergy pill and 2 puffs of his inhaler. If he gets sick, that regime is then topped with the schedule of an antibiotic. It gets hectic! This summer, my child is 10 (almost 11) and it will be a summer of learning with the CVS ScriptPath tool. With the bigger age, it becomes more important to take some of the responsibility off the parents and give a little more independence and responsibility of learning to take the medications on his own. On our next visit to CVS, when his prescriptions are filled, we will be able to ask our CVS pharmacist for a personalized prescription schedule, similar to what you see above. This schedule will help me teach my child about the medications he is on, when they should be taken and how many to take. 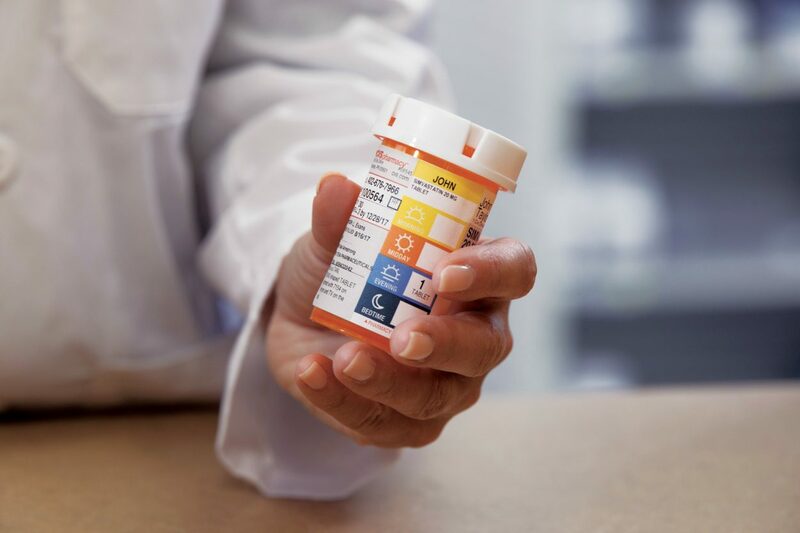 It’s organization that makes medication taking super easy and convenient. Of course, as a 10 year old is still learning his medications, I’m not leaving him to do this alone. 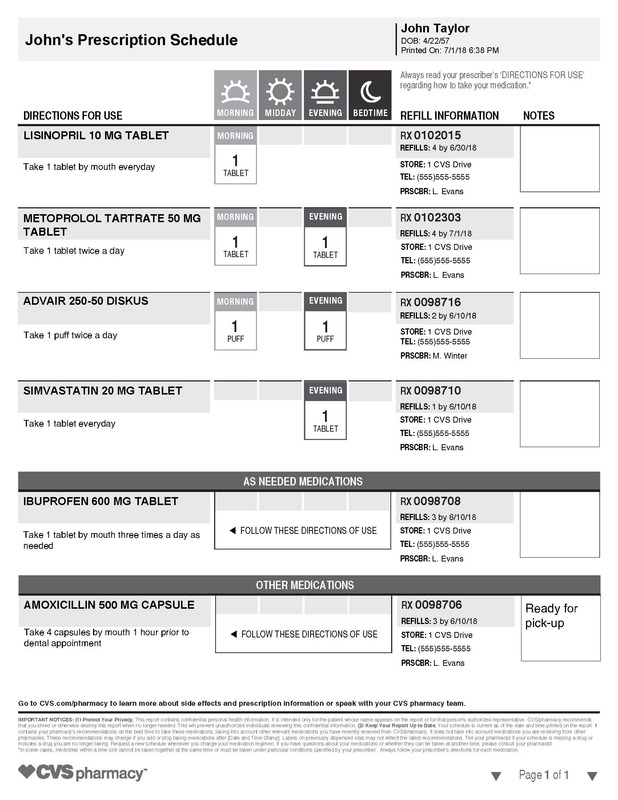 Using the CVS ScriptPath program will help me as a parent to teach my child and give him a visual schedule on how and when to properly take his medications. Do you have trouble teaching your children how to take their medications on schedule? Or maybe you need help remembering your own medication schedule. The CVS ScriptPath program is going to help a lot of families and people with this simple to use service. Learn more about CVS ScriptPath Prescription Schedule? Click here. I’m proud to be working with CVS Pharmacy to help spread the word about #BetterHealthMadeEasy, how to #FindYourHealthy and #DiscoverCVS. All opinions expressed are my own, and all product claims or program details shared should be verified at CVS.com or with the appropriate manufacturers.